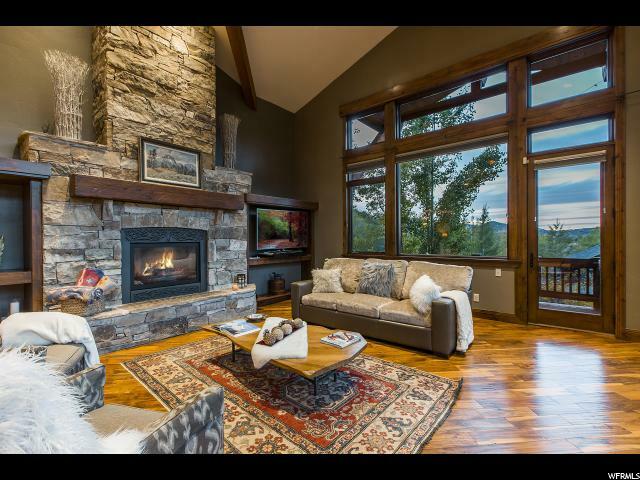 All CHATHAM HILLS homes currently listed for sale in Park City as of 04/19/2019 are shown below. You can change the search criteria at any time by pressing the 'Change Search' button below. "Great opportunity in the heart of Park City. Central location in a great neighborhood, this home is walking/biking distance to schools and endless trails. Spacious gourmet kitchen opens up to a large great room with cozy fireplace to create an entertainer's dream. The master bedroom suite is located on its own private floor with 2 separate closets, delightful bathroom and a secluded balcony. The home offers 5 additional en-suite bedrooms. The lower floor includes a large family room. Secluded backyard with fireplace. Elevator and heated driveway are just a few of the nice features of this home. Square footage figures are provided as a courtesy estimate only and were obtained from appraiser. Buyer is advised to obtain an independent measurement."